Although GBP gained momentum after the strong construction PMI report, GBPUSD fell drastically. The chart for H4 has created a head and shoulder pattern which further price decline will be expected below the neckline. 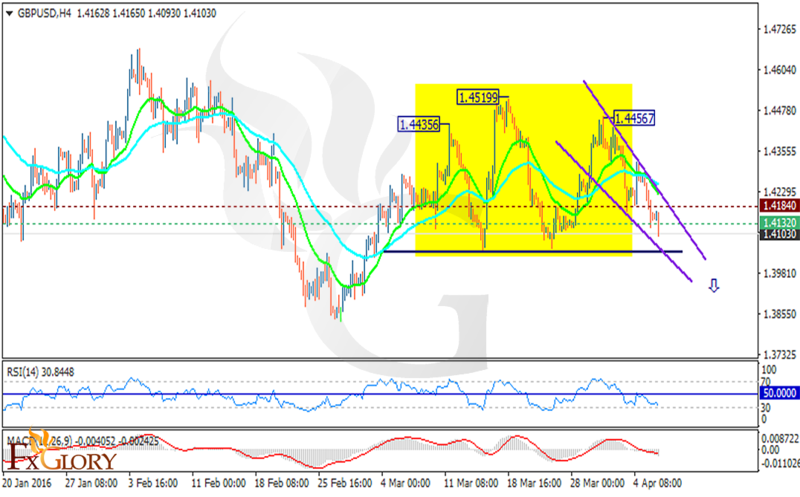 The price has been falling down the descendant channel finding support at 1.4132 with resistance at 1.4184. The MACD indicator is in negative territory confirming the price fall moreover the RSI is below the 50 level. Short positions are recommended when the support at 1.4132 is broken. Sellers can target 1.4000.